How many Florence guides are on the internet? An infinity. So why am I talking to you about this incredible and famous city? Because there is always a new way to discover it and fall in love with it. 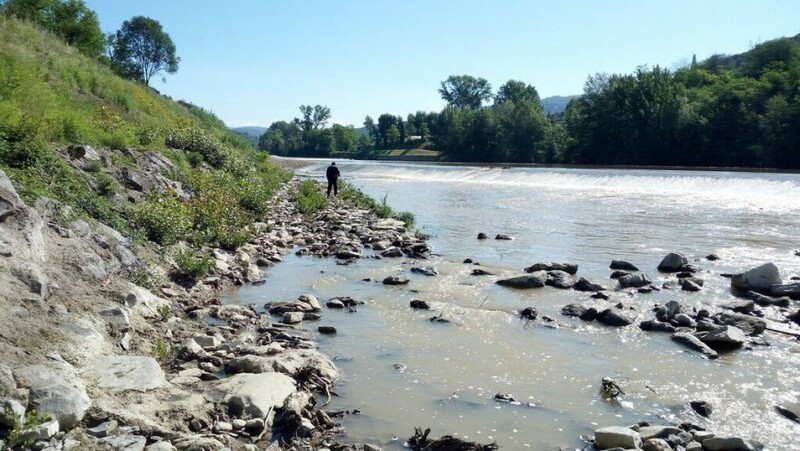 Away from the crowds and the busy streets of the center, today we start to discover a very different and slower Florence, across and along the Arno river. 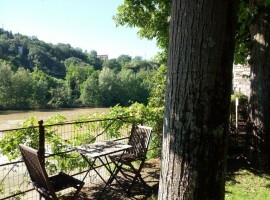 Our unusual holiday in Florence begins in an ancient mill on the bank of the river Arno, dating back to the XIII century, transformed into a unique accommodation. 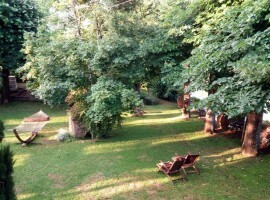 La Martellina bed and breakfast, managed by Claudio, is a beautiful ecological house, surrounded by old trees and a large garden with hammocks. Here the sweet sound of the river waters and the chirping of the birds lull you during the night and during the hours spent in the sun, among the fruit trees and the plants. Claudio offers his guests bicycles, perfect for exploring the surrounding area. From the bed&breakfast you can easily reach a beautiful park made of olive trees, often frequented by locals; crossing it you reach the river and the path that runs along it. The trail along the river takes us, through a romantic and evocative landscape, into an old village of boatmen who welcomes us with many small houses and a small church. It is not uncommon to meet the fishermen who are busy taking mullet and catfish and always ready to chat with tourists. On the other side of the Arno we can see beautiful Renaissance villas, such as the charming Villa La Massa, location of David Bowie’s weeding. 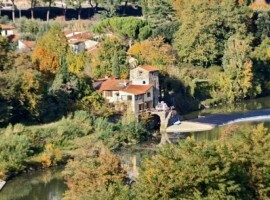 6 kilometers in the middle of nature pass quickly, and so we find ourselves in Florence. 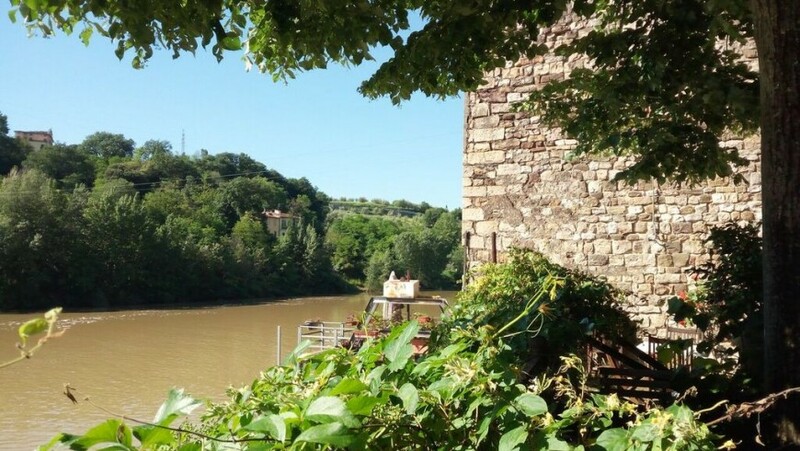 Here we rely on the historic Renaioli association, which allows us, from May to November, to sail the Arno on ancient and traditional little boats. 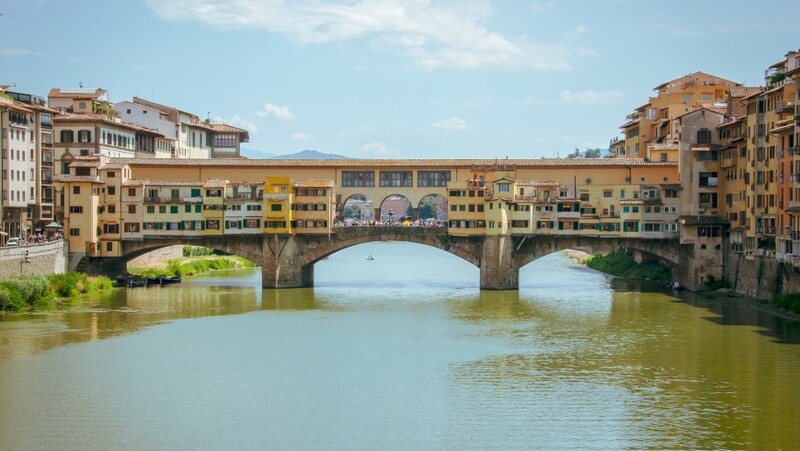 The tour takes us under the Uffizi and the Vasari corridor, passing under the famous and iconic Ponte Vecchio. On board the typical boat, called “barchetto d’Arno“, which is guided with a perch similar to a Venetian gondola, the renaiolo (this is the name of the person who drives this type of boat) tells us the anecdotes of this ancient craft, immense heritage of knowledge related to the Arno and the city. Comfortably seated, we see before our eyes the whole history of Florence: the churches, Ponte S. Trinità, Palazzo Corsini and all the wonder of this city. Near La Martellina B&B you will find Il Girone, a cultural club and restaurant, where you can eat fantastic local dishes made with organic products. Do not miss it in the autumn weekends during the Truffle Festival. 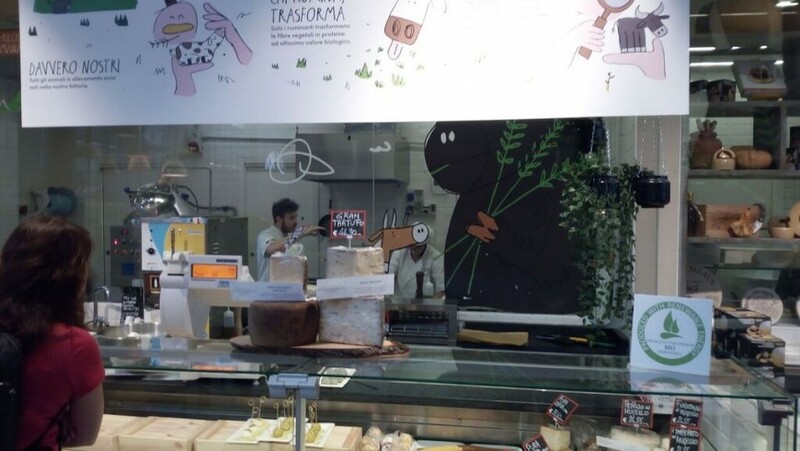 For a green stop in the heart of Florence, you can choose the Old Market of San Lorenzo, open all day for lunch and dinner. Unusual and Green Bologna: 5 things you can’t miss! This entry was posted in weekend and tagged bike, eco hotels, Florence, green weekend, Italy, nature, sustainable tourism, Tuscany, unusual night, unusual weekends. Bookmark the permalink.